The Senate Appropriations Committee, chaired by Sen. Jane Kitchel (D-Caledonia), proposed delaying when consumers could sue over the presence of non-labeled products on retail shelves. The Vermont Retail & Grocers Association has been shopping two changes to the law that mandates labeling of products containing genetically modified ingredients to smooth the law’s implementation. One change would prevent consumers from suing should they find non-labeled products on store shelves during the 18 months immediately after the law takes effect. This change would allow retailers time to clear their inventory of products that were legally distributed without labels prior to July 1, said Jim Harrison, president of the retail and grocers association. The second change would give an exemption to the labeling of food prepared in stores — such as potato salad, sandwiches and baked goods, Harrison said. “It wasn’t our feeling that these materially change the law,” Harrison said. 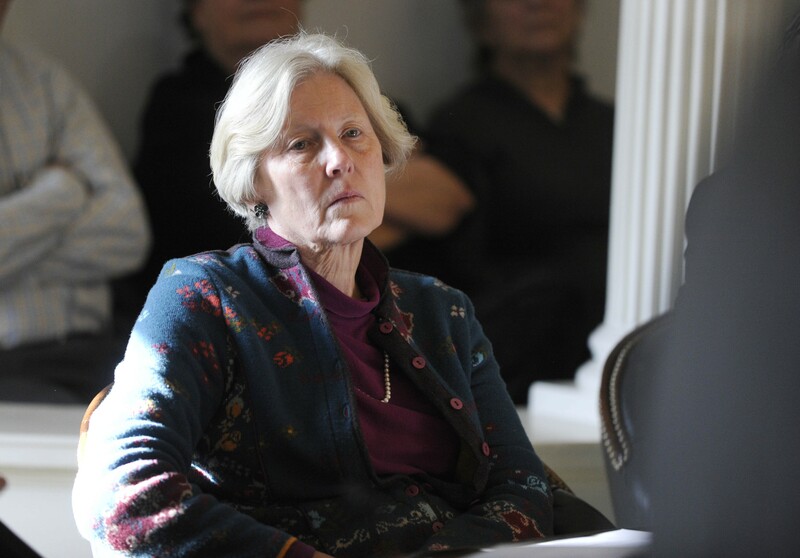 The Vermont Right to Know GMOs coalition has opposed any changes to the law. Andrea Stander of Rural Vermont said retailers have had plenty of time to work out how to deal with inventory and comply with the law. “This is all part of a national effort to undermine the Vermont law,” Stander said. For example, national grocery and snack food organizations have sued the state, challenging the legality of the law. The lawsuit is pending. The Senate Appropriations Committee included a provision in the budget bill that would delay the date when consumers could sue over the lack of GMO labels, but not for as long as Harrison wanted. The Senate proposed ending the protection a year after the law takes effect. Kitchel added, “In no way would this alter the underlying labeling requirements.” The Senate budget bill doesn’t address the exemption for food made in stores. The House version of the budget didn’t include the provision delaying consumer lawsuits, so the two chambers will have to negotiate whether it is included in the final budget bill. Todd Daloz, an assistant attorney general, said his office would prefer that lawmakers make no changes to the law so close to the time of its implementation. Daloz noted that the office of the attorney general had established a rule that gives retailers six months to clear their inventories of non-labeled stock. “Our main goal in the first six to twelve months is enabling compliance,” Daloz said. He noted that delaying when consumers could sue over non-labeling would not affect enforcement by the attorney general’s office. Daloz said he opposed granting an exemption to products made in stores. Those could contain the same genetically modified ingredients as items made by big manufacturers, he said.